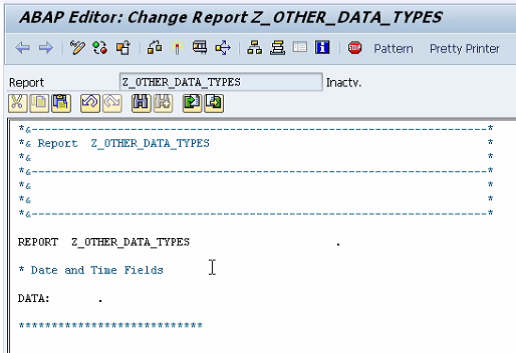 This section will look at some other data types which can be used in ABAP. 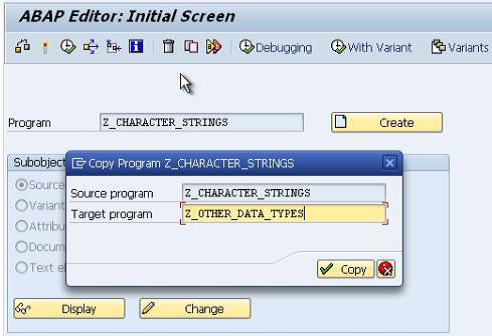 So far, numeric fields have been used for performing calculations, and character strings have been exam-ined along with the ways these can be manipulated with ABAP statements. Now, date and time fields will be looked at. Date and time fields are not stored as numeric data types, but instead as character data types. Effectively, they are character strings which can be used in calculations. This is made possible by the inbuilt automatic data type conversions which have previously been discussed. Just like any other data type, the DATA statement is used to declare these fields.